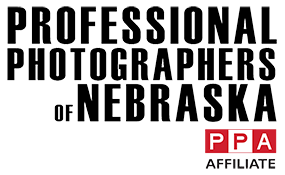 C41 Photography has been providing local individuals with high-quality images for portfolios for years. Each portfolio session is designed around each person’s individual needs. Some clients are looking for the standard headshot calling card, while others need a variety of poses for their portfolio or to create a body of work that will attract an agent or target a specific market. Our portfolio session was designed to create a variety of images for our clients. Sessions are one hour and can include up to three outfit changes. A variety of poses are taken during the session including your standard headshot needed for most applications to full body images that may be needed for runway or fashion work. Images are immediately viewed after the session for your final selections. All portfolio sessions include three enhanced digital images. Additional images can be purchased from the session if you’d like to add more variety to your portfolio. Portfolio sessions start at $699. Once your final selections have been made, they are sent to our portrait artist for enhancements. A share file link will be sent to you within 24 hours of your session to download your completed image files. Each file purchased includes a copyright release allowing you to reprint them and share them with agents and other media platforms. Give us a call to discuss your needs and how we can help you create a solid portfolio that will get you noticed. Our work has won several portfolio contests for our clients and we’d love to work with you.